Radon is a radioactive gas found in the soil. It can enter your home through the smallest of entryways such as crawlspaces, sump pits and cracks in your home’s foundation. Radon gas can be found in every type of home – new, old, commercial, residential, and every type of foundation. which takes continuous radon measurements throughout your test period. The test lasts 48 hours and the results emailed by the end of the day when the radon test is complete. Nearly 50% of Dayton area homes have been found to have an average higher than the 4.0 pCi/L radon gas action level established by the EPA. Radon testing averages do show that slab constructed homes tend to have a slightly lower concentration, but every type of home is at risk. 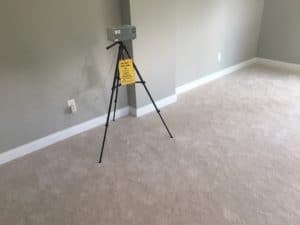 The radon Tech will not be at the home inspection, the placing and pick up of the equipment will be scheduled around your inspection time.